“You come from Horta, you are friends of mine”. With these words, Picasso received the delegation from Horta that visited him in his residence in Notre-Dame-de-Vie. They went there to tell him he had been given the freedom of their village and that a street had been dedicated to him. During the long conversation Picasso, deeply moved, remembered the situations he lived and the people he met while he was in Horta with all the details. At a certain moment of the conversation, he promised to give some of his artworks if a museum was opened in Horta. Although the great interest of the Town Hall, Manuel Pallarès and Picasso himself, the generous present could not be materialised. Those were old times. 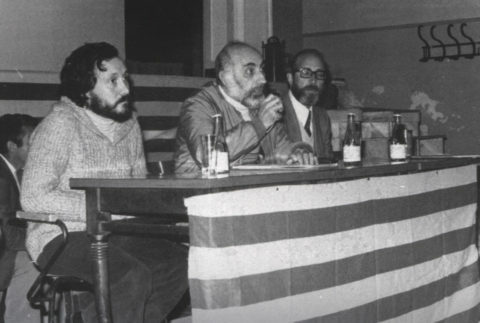 March 1977: Palau i Fabre, one of the best experts on Picasso, presented the Catalan Culture Congress in Horta. 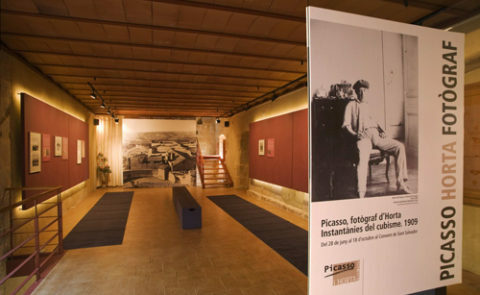 During his stay in the village, Palau i Fabre proposed to collect together the facsimile reproductions of all the Picassian works made in Horta. The association Amics d’Horta echoed the proposal immediately. 1977 – 1983: During the next years, thanks to the essential help of Palau i Fabre, the works distributed in different museums and private collections were found. Then the reproductions could be made. 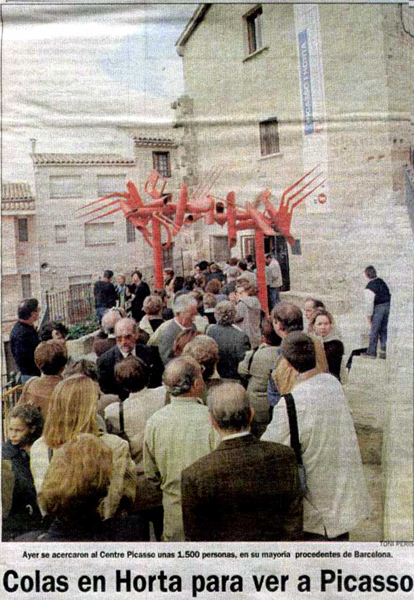 30th November 1983: The opening of the Casal Picasso in the building of the old school was expected for that date. There were still a lot of works missing, but the ones they had were enough to start the exhibition. Unfortunately, the Town Hall cancelled the initial cession of the building. 1983 – 1989: After the personal and economic effort of the association Amics d’Horta, there was a great disappointment and, not having any institutional support, the project had to be stopped. 1990: But the idea was too interesting to be forgotten. At the end of 1989, a group of people from Horta, encouraged by Picassian friends, started the project again. The next year an entity exclusively devoted to promote the idea was founded: the Centre Picasso d’Horta. Once again with Palau i Fabre’s support and with a new enthusiasm, the search for the works made in Horta by Picasso became stronger. The restoration of the old hospital allowed having an ideal setting for the exhibition of reproductions. 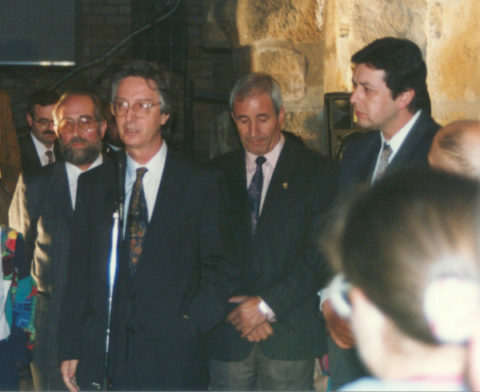 15th October 1992: The Culture Minister, Mr Guitart, opened officially the Centre Picasso d’Horta. 1992: Once the entity has been consolidated, without giving up the search of the works still missing, the Picassian Symposium is held every summer. Entitled “Espacios picassianos de la Catalunya sur”, the centre organises exhibitions of paintings, sculptures, photographs in some picassian places and classical music concerts in Saint Salvador Covent. The Centre becomes a member of the UNESCO Associations and Clubs. The work of the Centre Picasso is recognised with several prizes such as the National Prize of Plastic Arts in 1994. 1998: Centenary of Picasso’s first stay in Horta: The large exhibition of the original works that Picasso painted in Horta 100 years before was possible thanks to the close collaboration between the Centre Picasso, the Picasso Museum of Barcelona and la Generalitat. The exhibition was held from 19th September to 18th October 1998 with an extraordinary popular success. 1999 – 2002: The Centre Picasso is redesigned. 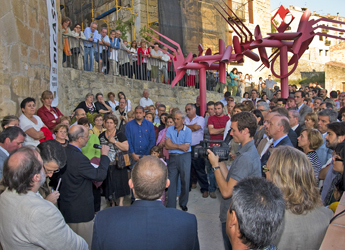 A permanent exhibition “My friends from Horta” is opened. The approach to the exhibition is modified becoming more didactic and significant. The logotype is changed. The focus of the exhibition is modified, thus becoming more didactic and intelligible. The centre’s logo is also changed. The search for Picasso’s works continues and an emblematic work The Procession to the Convent is acquired, together with other cubist paintings such as Two Heads of a Woman, Saint Anthony’s Head and Landscape with a Bridge. The centre is accepted into the Coordinating Committee of Catalan-language Study Centres. 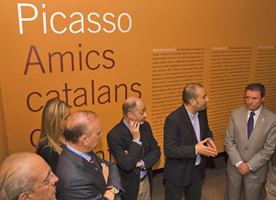 · Picasso and his Catalan friends, which includes original work. · Picasso, the photographer of Horta: the exhibition of photographs taken by Picasso in Horta, in the summer of 1909. Es publiquen els catàlegs de les dues exposicions.